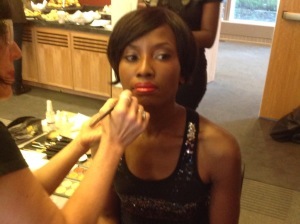 Bay Area, CA (July 10th, 2012) – Uduak Oduok, an Attorney and Partner at Ebitu Law Group, P.C. and one of the few attorneys in the USA practicing in the area of Fashion Law, will present a seminar titled ‘Fashion Law 101: Legal Issues in the Fashion Industry’ at the California Lawyers for the Arts Center in San Francisco; an organization providing legal services and education for the creative community in Northern California. The event, to be held on July 25th, 2012 at the Fort Mason Center, promises to be exciting as Oduok who has over 20years experience in the fashion industry, including as a former model, brings the exciting new field of fashion law to life. 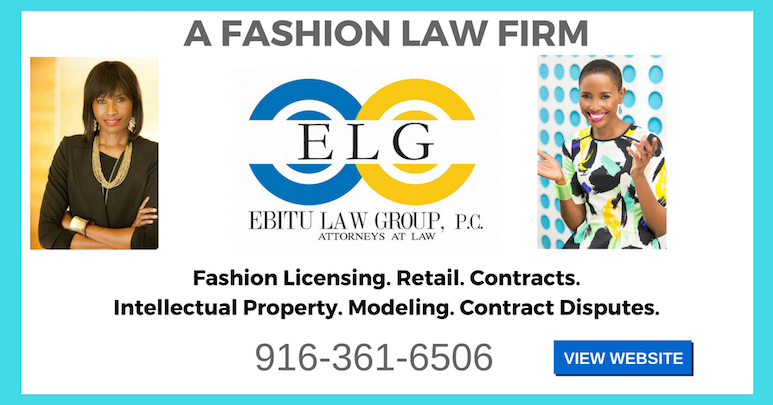 Fashion Law is a rapidly emerging specialty area arising from a need by the fashion industry for lawyers with actual industry experience who understand the unique issues the industry faces. Oduok entered into the fashion industry at age 15 as a fashion model and has remained in the industry gaining deep and diverse experiences in fashion retail, fashion show production, public relations, journalism, and publishing in addition to her modeling experience. In 2008, Oduok enrolled at Stockton, California’s Delta College Fashion Program opting to study Fashion Design and Merchandising to match her practical fashion knowledge with fashion theory. She was fortunate to study under the leadership of Leslie Asfour, Fashion Director and industry veteran who is cousin to reputable fashion brand ThreeAsfour’s co-founder Gabriel Asfour. Oduok explains her upcoming seminar will define fashion law and then delve into diverse areas of law that directly affect the industry. The seminar will include topics such as: Fashion & intellectual property law (The Fashion Copyright Bill (IDPPPA) and recent court rulings in cases like Louboutin v. YSL, Louis Vuitton Hangover II Lawsuit, and Gucci v. Guess will be discussed), Fashion & Social Media Law, Fashion & Employment/Labor Law, Fashion & Criminal Law, Fashion & International law and Fashion Trademark & Licensing. The seminar will also give special attention to modeling agencies and models, fashion designers, fashion event production and fashion photographers. About Ebitu Law Group, P.C. Founded in 2012, Ebitu Law Group (ELG), a Professional Corporation, is an experienced firm committed to the pursuit of legal excellence and client service. The firm remains uncompromising in delivering quality, compassionate and affordable solutions to its clients’ legal problems, solutions that help its clients sleep well at night. The firm offers legal services in several practice areas including Fashion and Entertainment Law, Business Law & Litigation and Internet & Social Media Law. For more information, visit www.ebitulawgrp.com.